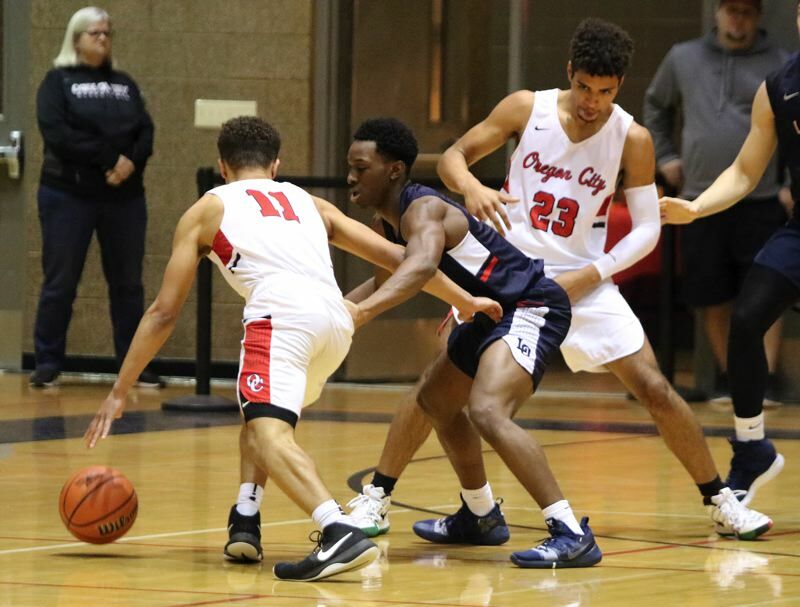 Here are some photos from Friday's Oregon City-Lake Oswego boys' basketball game at Oregon City High School. Lake Oswego's Josh Angle scored 15 of his game-high 20 points in the first half and Wayne McKinney finished with 13 points, pacing the Lakers to a 60-46 Three Rivers League road win over the Pioneers. Fred Harding added nine points as the Lakers (10-3, 2-0 TRL) won their fourth in a row, while spoiling Oregon City's return to the Three Rivers League after a four-year run in the Mt. Hood Conference. Jake Gettel and Dalton Welch had 10 points each to lead the Pioneers (9-4, 0-1). Angle buried a 3-pointer from the right corner to touch off a 26-8 run in the closing 5:27 of the second quarter that gave the Lakers a 34-19 halftime time. Gettel knocked down a 3-pointer from the top of the arc to cap a 12-2 Oregon City run to open the second half that cut Lake Oswego's lead to five, 36-31, with 4:46 to play in the third quarter, but that was as close as the Pioneers could get in the second half.